A tiny community of farmers in northern Thailand caring for their traditional land, biodiversity, and culture fought the government and won. They influenced international policies governing biodiversity to use their practices at home, and continue to defend them. When Prasert Trakansuphakon talks about rotational farming, he uses the language of hta: the poetry, stories, and songs told by the Karen people of northern Thailand. Hta reflect the rich knowledge that Karen people have of their surrounding environment, especially of the variety of wild and domesticated plants and animals. Wrapped into the rhymes and tales of the hta is a collective knowledge system that incorporates memories and observations based on everyday life experiences. This language and knowledge system have also helped the Karen people who use them to protect not only their livelihoods and ways of living, but the forest they rely upon. Hta and the knowledge it represents also helped them at international, national, and local levels to persuade their government to allow them and other indigenous communities to do something that is illegal in Thailand: their traditional rotational farming practices. Trakansuphakon is president of Pgakenyaw Association for Sustainable Development (PASD). He tells hta of an indigenous tribe of Karen people called the Pgakenyaw to scientific researchers and policy makers at international conferences. His stories focus on one small Pgakenyaw community of 25 households, called Hin Lad Nai, nestled in the lush forest of Chiang Rai Province. This community follows the rituals embedded in the hta at each stage of the village’s rotational farming system. But what they are doing is illegal in Thailand. For many decades the Karen were accused of using what was seen as primitive, destructive, slash-and-burn agriculture. National policies divided the landscape into either forest or permanent agriculture, and classified rotational farmers as “ethnic minorities” whose traditional practices were prohibited.1 1. Fox, J., Fujita, Y., Ngidang, D., Peluso, N., Potter, L., Sakuntaladewi, N., Sturgeon, J., Thomas, D., 2009. "Policies, Political-Economy, and Swidden in Southeast Asia." Hum Ecol Interdiscip J. 37(3):305–322. DOI: 10.1007/s10745-009-9240-7 See all references At the same time, other pressures were building on the farmers to leave their lands in the 1960s and 1970s: logging concessions, commercial plantations, conservation projects, dam- and road-building, and waves of resettlement – both of farmers forced out and others moving in. Today the Hin Lad Nai community lives in a border area of one of several national parks in the northern region of Thailand. Image: Elsa Wikander/Azote. They and other communities reliant on the forest for home, food, and spiritual practices spent decades protesting logging concessions issued by the Thai government. The Hin Lad Nai community saw their forest cut down in the 1980s. Finally, in 1989, the Thai government decided to stop giving out logging concessions. Immediately, the villagers of Hin Lad Nai decided to regenerate their destroyed forest in the only way they knew how: by practising the Karen rotational farming system. Within that system, they would protect their land against wildfires and illegal hunting, and let the trees grow and the wild animals return and thrive again. 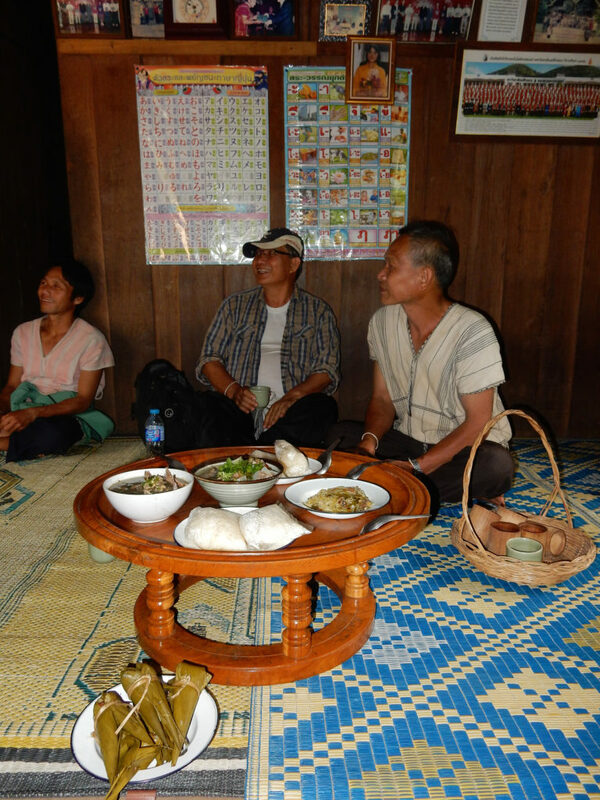 A community meeting, fueled by foods from the forest. Copyright: Pernilla Malmer. Malmer met Trakansuphakon for the first time in a unique dialogue in Guna Yala, Panama, bringing together scientists and indigenous communities to share their different kinds of knowledge. This dialogue took place directly before the meeting in Panama City that established the Intergovernmental Platform on Biodiversity and Ecosystem Services (IPBES). According to its operating principles, IPBES should respect and recognise indigenous and local knowledge in all its work. Since then, indigenous organisations and their networks have been actively following IPBES, and providing suggestions on how indigenous peoples can contribute to IPBES in equal and meaningful ways for them. After hearing Trakansuphakon’s stories peppered with hta, Malmer was curious to see Hin Lad Nai. And after hearing about what they had achieved, she wanted to know exactly how the community was building the case for rotational farming, and what methods and measurements they were using to prove that it worked. When Trakansuphakon invited her to visit Hin Lad Nai along with some indigenous organisations from the region, she jumped at the opportunity. Little did she know that this first visit to the community would lead to a collaborative process between a network of indigenous organisations from diverse cultures and transdisciplinary researchers. 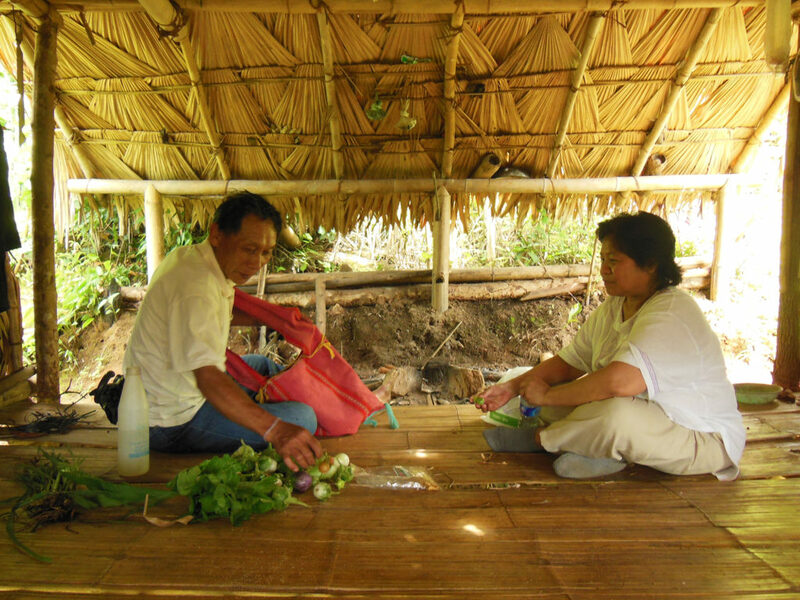 Together this network develops methods for how the expertise of communities such as the Hin Lad Nai could contribute their traditional knowledge on an equal footing with scientific knowledge. Their work would be based on respect and recognition, and usefulness for all involved, in monitoring and assessments of biodiversity and ecosystems. After a regional workshop under the Convention on Biological Diversity in Chiang Mai, Malmer and two colleagues from the Philippines set off on a three-hour car journey to visit Hin Lad Nai. “I remember it was so well-kept, well-thought through,” she recalls from her first visit to the village. Clusters of houses blended into the thick vegetation. Malmer and her colleagues could see a small library from the balcony of the house where they stayed. Under a thatched roof, hens laid eggs in stacks of baskets and ears of roasted corn hung from the eaves. 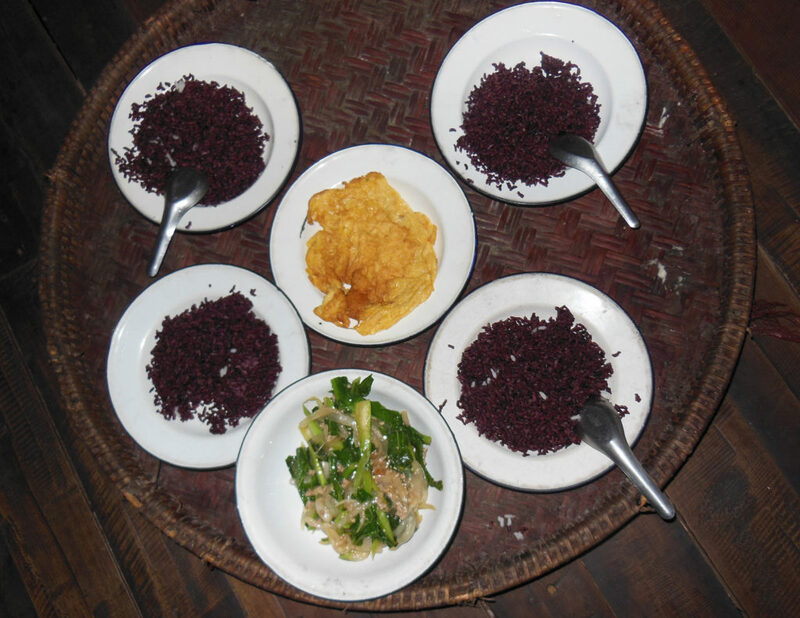 A photograph Malmer took of the family meal one night shows a plate of black rice from the paddy fields, an omelette courtesy of their hens, a sauce made from herbs picked along the path. The villagers drank tea from bamboo cups and their plates were fleshy leaves cut on the way home from the fields. A large sign at the entrance to the village sets out the regulations by which the community lives. The core of their constitution is to “maintain and recover the culture, belief, traditional knowledge and spirituality of the community.” The villagers recognise that traditional knowledge evolves, and new generations bring new knowledge. As practised in Hin Lad Nai, rotational farming means starting a new field with a short cultivation period of a year, of rice with vegetables mixed in. The fields are then left alone, for a long period of fallowing, with nothing sown or added to the land between 7 and 10 years. During the first- and second-year fallows, grasses and young tree shoots take hold, among which small animals can hide. Also hidden in the grass and young trees are taro, yam, chilli, aubergine, rattan shoot, sweet potato, cassava, lemongrass, ginger, galangal – plenty for both animals and humans to eat. Wild boars and barking deer hide in these fields with young soft grasses, giving way to monkeys and macaques by the seventh-year fallow, when the trees and grasses no longer provide hiding spaces. An abundance of plants the Karen people harvest for medicinal uses – such as yakaivmuj to treat diabetes and hpaupgajlaj for helping women recover after giving birth – also grow during the seventh fallow. All the while, farmers and members of the community walk through the fallows and harvest what they need. Year in and year out, they live with the shifting cycles of growth. “Each time you take a walk [through the village landscape] you are getting these ‘aha’ moments – you realise so many new things each time,” Malmer says, looking over photos of that first visit. She points to a shelter in one of the fields that she photographed. It’s a place where farmers rest during the hottest hours of the day. Cooking utensils are tucked into the woven fronds that make up the ceiling. When the year-long cultivation period ends, the shelter is left to disintegrate, its natural materials falling in with the grasses, the soil. Eight years later, when it’s time to sow again, a new shelter is put up. Taking a break in a resting hut in the fields. Once out of use, the hut’s biodegradable materials will collapse and return to the soil. Meanwhile it provides shade and a place to eat in the heat of the day (note the utensils tucked into the roof). Copyright: Pernilla Malmer. At the end of the 7- to 10-year cycle and before clearing the fallow, the area is referred to as doo lax, which means the soil is good enough for cultivation. “N’mei yuj yaz laiz soo quv, cau av k’laz htof lwij bu”. The practices of rotational farming, as well as everyday life, are imbued with Karen knowledge and wisdom, including cosmology, spirituality, technical knowledge of conservation, and values and cultural expressions such as songs, poems, and stories. When the farmers select the fallow area they want to cultivate next, they perform rituals and tests based on customary laws or taboos because they believe that after letting the field regenerate as fallow, the land belongs to the spirits of the goddess of the doo lax. They must ask permission from the goddess. Signs may be the sighting or sound of unlucky birds or the barking sound of deer, or one of the farmers might have a nightmare about fire or flooding the night before selecting the plot, which means the goddess refuses permission to cultivate the land. If there is no sign from the goddess that she refuses, that means that the spirits of that fallow give the farmer the right to cultivate this year. Basing decisions and practices on culture and spirituality is sacred for Karen people and not only guides their farming methods but also colours the imagination and summons up memories. The fallow land is a place where people can go to recall time spent working together, talking to and smiling at each other. Even in a famine we will not die. “Land and forest never ends if we know how to take care of it and use it,” says Chai Prasert, Hin Lad Nai’s current community leader, quoting what his grandfather told him. It is not enough to preserve and protect the forest, he translates. You also need to know how to use it, to get food and income from its use, while conserving it for your own children and grandchildren. The Karen perception of an ecosystem encompasses humans, plants, animals, and spirits, in the past, present, and future. They believe that some stars are their ancestors, appearing in the sky to watch over the fields. New leaves and branches sprouting from tree stumps prove that the ancestor star has watched over the Karen and helped the land to regenerate for the next generation. Such beliefs make managing natural resources in the long term for future generations a central pillar of Karen traditional agriculture and ecosystem management. Managing natural resources in a sustainable way extends to conservation, hunting, and gathering. For example, the Karen of Hin Lad Nai place beehives all over the forest, providing sure-fire pollination for plants, but also food security for the community and cash income from selling the honey. These context-appropriate instruments and methods based on a self-sufficient way of living are good for ecosystems and people at the same time. An offering place in the woods along the path to the fields. Copyright: Pernilla Malmer. Today, the lush forest around Hin Lad Nai makes it nearly impossible to imagine how completely it was destroyed by loggers in the 1970s and 1980s. Malmer says that it’s only because the community banded together around shared values, such as thinking beyond their own individual lifetimes, that the people of Hin Lad Nai could organise themselves to tackle the monumental challenge of restoring the forest when logging stopped in 1989. At that time, the forest was silent and bare. Frequent wildfires raged through the few remaining patches of vegetation, caused by the thick layer of branches and leaves left behind from the big trees felled by the loggers. All that dry, organic material was like tinder and put the whole area, including the remaining patches of forest, at risk of wildfires at any time. The inhabitants of Hin Lad Nai came together to make their decisions for next steps. They agreed to prepare a firebreak around their whole community area, and took turns guarding it. They also started to protect their territories against illegal loggers and hunters, and formulated their community rules for forest management. Chai Prasert, Hin Lad Nai’s current community leader, quoting his grandfather. The forest recovered slowly. However in 1992, the whole area was declared Khun Jae National Park, which today is 270 square kilometres (100 square miles). The government ordered the communities in the planned park area to leave. Instead, the Karen people drew strength from their philosophy and banded together with other affected ethnic groups in the country to fight for their rights to live in the forest. In the name of the Northern Farmers Network and as part of the national level network Assembly of the Poor, they staged protests. 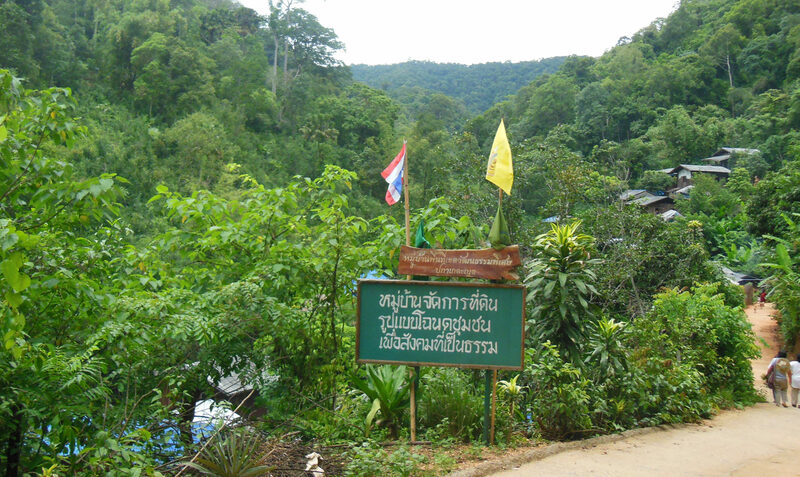 The Hin Lad Nai community won the right to stay; their area would become a border area to the park. Meanwhile, Thailand ratified the United Nations Framework Convention on Climate Change (UNFCCC) in 1994, and would later ratify the Kyoto Protocol in 2002. In signing on, the government committed to protecting its forests, but it also had to begin to recognise what indigenous peoples do to protect their forests and how they adapt to and contribute to halting climate change. Crucially, where the Thai law banned rotational farming, the report put in print the benefits of the Karen knowledge system and worldview. Describing the practice of rotational farming at its core, alongside the spiritual and cultural beliefs that are deeply embedded in it, the report confirmed Karen practices to be beneficial for biodiversity, preventing wildfires and soil erosion, and developing both new sources of income and sparking innovation. 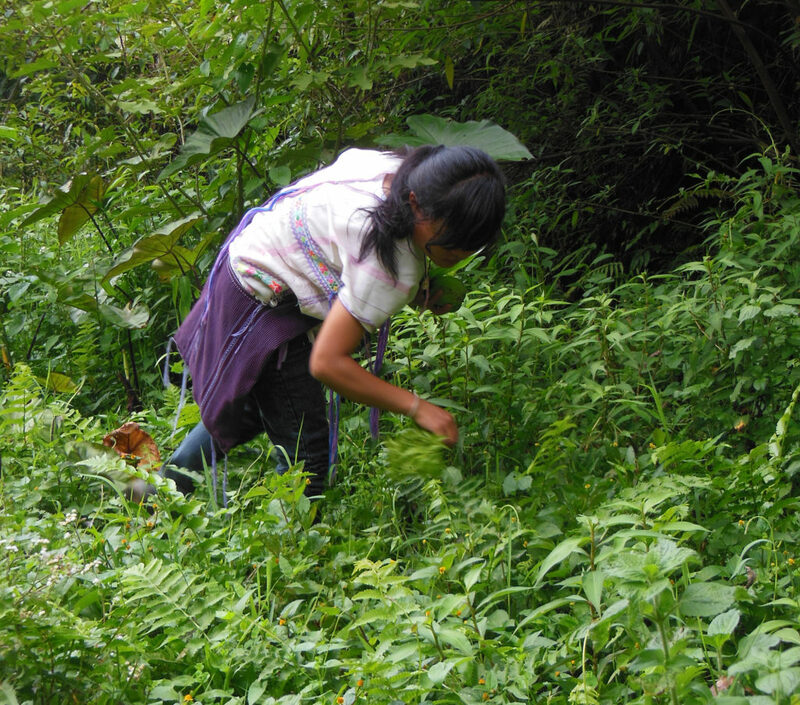 A young woman from the Hin Lad Nai community searches for supper greens in the now-lush forest. Copyright: Pernilla Malmer. Malmer says that Hin Lad Nai is an example of many other indigenous organisations that fight on the ground locally by harnessing global developments. By following international processes, such as the UNFCCC, IPBES, or the Convention on Biological Diversity, communities can bring decisions back home and demand that their local, regional, and national government implement them. In 2010, Hin Lad Nai achieved another victory when it became one of four villages identified as a Special Cultural Zone. In effect, this overturned the national government’s criminalisation of rotational farming through actual proof that it worked. Now the practice is protected under UNESCO’s list of Cultural Heritage.3-4 3. Swiderska, K., Malmer, P., 2016. Climate Change and Biocultural Adaptation in Mountain Communities. Second International Learning Exchange of the International Network of Mountain Indigenous People (INMIP). London: Intl. Inst. Env. Dev. (IIED). Download PDF 4. OHCHR, 2015. The right of access to and enjoyment of cultural heritage forms part of international human rights law (A/HRC/17/38, para. 78). Download Word Document See all references But some of Thailand’s government agencies, for example, the ministry of environment, still could consider it illegal in trying to protect forests from tree-felling. The Hin Lad Nai community has joined others in championing the value of their practices to the rest of the world. Since 2012, when Malmer met Trakansuphakon in Panama, grass roots organisations from the Philippines, Thailand, Kenya, Ethiopia, Panama, and Sweden have been involved in a cross-cultural dialogue aimed at exploring collaborations across knowledge systems, and developing methods for it to be applied beyond the pilot communities. The focus is on bottom-up, community-driven initiatives to investigate and monitor the communities’ biodiversity and ecosystems, along with their own needs and priorities. 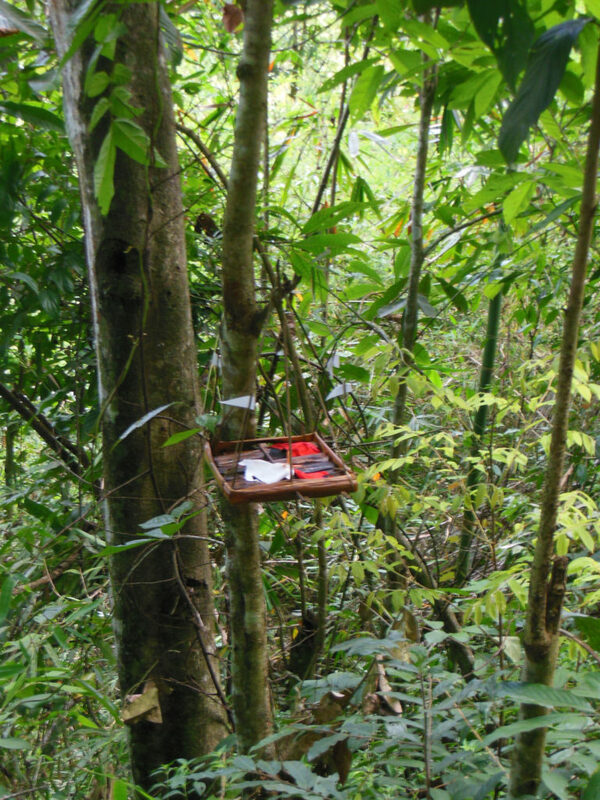 Through this dialogue, researchers, indigenous peoples, and local communities are developing what’s known as the Multiple Evidence Base (MEB) approach: indigenous, local, and scientific knowledge systems are each valid and useful knowledge systems that generate complementary evidence for sustainable use and management of biodiversity at local to global scales. The pilot testing has been progressing with some seed funding from SwedBio, where partners planned their own community research, with their own priorities and methods in Thailand, Kenya, Ethiopia, the Philippines, and Panama. “From the beginning we thought each of the pilots would be an example of a full, enriched picture of an MEB approach. But the focus for the partners was on mobilising the communities’ own knowledge for a lot of different purposes, and then when some specific knowledge on some issues was needed that could be searched for and brought in from science, perhaps, or another knowledge system,” Malmer says. Today, Hin Lad Nai is part of a broader scientific effort to use MEB methods to contribute indigenous knowledge into international assessments and monitoring of agreements as well as regional and local management processes. The partners carry out their farming and biodiversity management practices; their careful observations and documentation then serve as a basis for decisions in their local governance and for input to local and international policy. 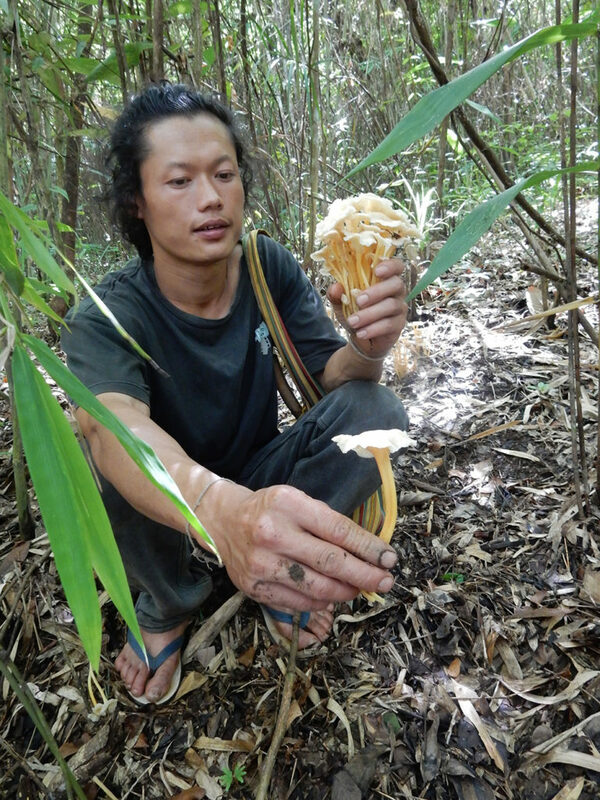 Forest food: tracking mushrooms and other edible plants for MEB approaches. Copyright: Pernilla Malmer. Farmers’ knowledge is deeply embedded from generations of learning and experience; the current generations agreed to a rather formalised process to describe this knowledge. They made plots as a pedagogical tool to show the variety of species (plants and animals) in each fallow period. They then recorded the species that colonise the fallows during each year for up to 10 years. In addition to the plot reports, the community recorded stories from the elders, the wisdom carried in the hta, and reports from the farmers themselves about what they observed as time passed – all eventually published last year by SwedBio. The piloting process made existing knowledge and practices visible and put them on the same footing as scientific protocols, rather than using one to validate the other. The MEB-approach pilot project includes visits between partners, to support learning and exchanging insights. And when the partners from Thailand, the Philippines, Kenya, Ethiopia and Panama met and compared and discussed their knowledge systems, they found many similarities. When Florence Daguitan from Philippines organisation Tebtebba’s Indigenous Peoples and Biodiversity Programme visited Hin Lad Nai she recognised similarities with her own home landscape and was concerned by the lack of erosion barriers on steep slopes in the area. Coming from a rotational farming system herself, Daguitan could contribute knowledge based on experiences in a very different location that nevertheless shared specific traits. Only three decades after logging decimated the forest, the villagers now choose from more than 200 edible species of plants that are abundant. Apart from being close to complete self-sufficiency, the community also has cash income from harvesting honey and tea from the flourishing forest – 80% of the previously destroyed forested area has regenerated. They cultivate several hundred hectares within a larger forested area of over 3,000 hectares, or 30 square kilometres. The fire stewards and guards still stand watch and get compensated for their time from the community fund that everyone pays into from selling honey that fetches 20 baht a bottle (about 45p). It’s like paying taxes. The community made a joint decision to install solar panels rather than connect to an outside electricity grid. They also purchased a satellite connection for the village school, which is the only place with some internet access in the area. 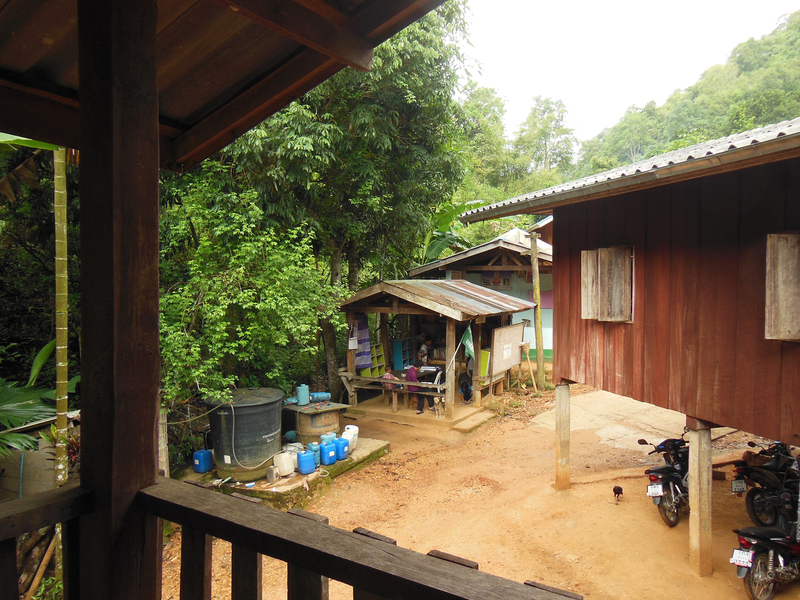 View from the balcony: The library sits next to the school in the neatly maintained village of Hin Lad Nai. Copyright: Pernilla Malmer. And yet, thick vegetation, tall trees, a forest teeming with biodiversity, and a vibrant, self-sufficient, thriving community might not be enough to safeguard Hin Lad Nai and the surrounding communities from future challenges. In fact, their very success in restoring the forest and reinvigorating their community through integrating innovations and collaborations that enhance the whole system, both social and ecological, could once again be their downfall. Now, a new threat comes from an effort to extend stronger levels of protection in the national park to Hin Lad Nai, including the regenerated forest area. 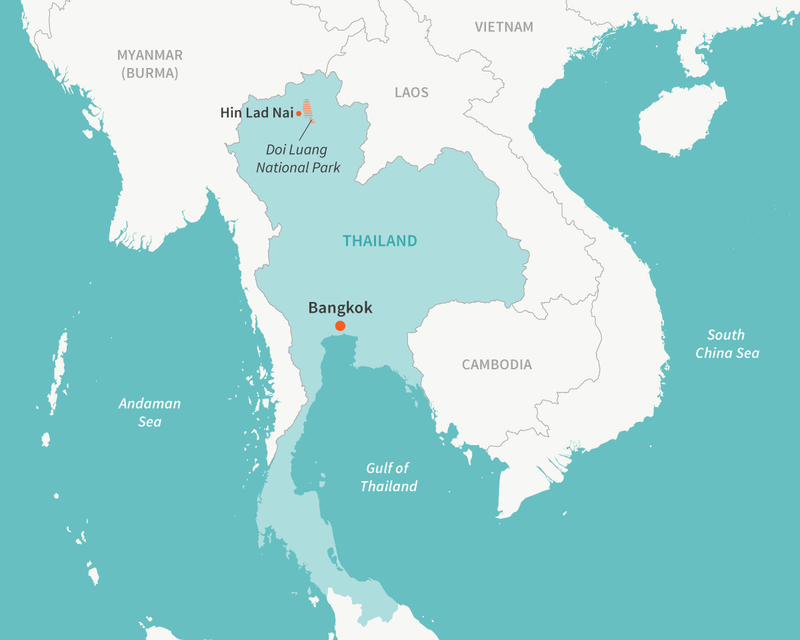 The community faces strict regulation of rotational farming, still considered illegal by Thailand’s government, and possible eviction from their land. This time, the foundations are strong for indigenous people to support each other to push back and to negotiate with the governmental authorities. Both IPBES and the Convention on Biological Diversity embody the value of the knowledge, practices, and beliefs of these groups. The UN Rapporteur on Human Rights and Environment (OHCHR) recently published a report on human rights and biodiversity, establishing that they are mutually supportive. These examples can provide other groups ways to connect across knowledge systems on equal terms, based on respect and reciprocity for managing whole ecosystems in a sustainable way. As Hin Lad Nai demonstrated in the community’s battle to decriminalise rotational farming, collective action by indigenous people plays a central role in developing policy around biodiversity management within the UN and other global organisations, which in turn, compels national governments to change the law. Transgressing borders and scales, voices that might not be heard close to home come through loud and clear on the international stage and echo back, this time with more volume and force, into the ears of government. It remains to be seen if they will listen.